LG is getting ready to launch its latest 4K UHD display, the LG 43UD79-B. Besides offering a gigantic screen with a huge resolution for an immersive viewing experience, the monitor offers plenty of connectivity options, numerous exclusive features, and a beauteous slim design. The spacious workspace can be further utilized via the screen splitting feature which makes it ideal for professional and multi-tasking designers while FreeSync makes it appealing for gamers. All in all, this monitor has a lot to offer! 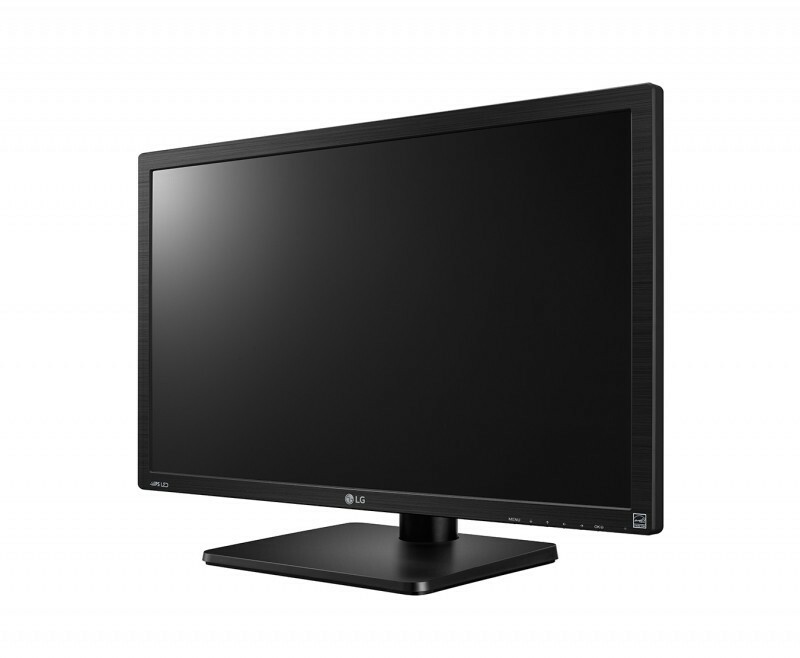 The LG 43UD79-B PC monitor features an IPS panel with 10-bit color support (8-bit + FRC) and flawless 178-degree viewing angles and accurate colors, so all the people in the room can enjoy a perfect image quality without contrasting colors, such is the case with TN panel monitors. The panel also covers 99% of the sRGB color gamut and it’s factory-calibrated making the monitor adequate for aspiring and semi-professional photographers and other designers. The 4K UHD resolution on a 42.5-inch display provides a brilliant image quality with a quite solid pixel density of 104 pixels per inch; The image quality is unexpectedly clear and sharp for monitors of such size thanks to the UHD resolution. 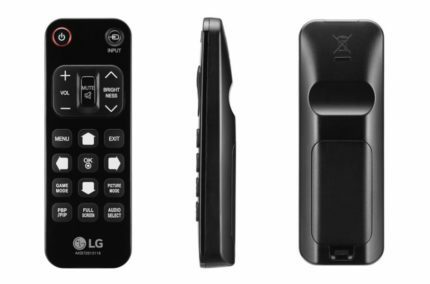 All of the common LG features are present in the LG 43UD79-B model as well. These features include the Black Stabilizer, Game Mode, Dynamic Action Sync, Screen Split 2.0, and Dual Controller. The black stabilizer feature increases visibility in the dark scenes of video games while the game mode offers well-optimized picture presets for different video game genres such as FPS, RTS, and a custom mode. The screen split feature offers you several different layouts of split screen for simplified multitasking activities whereas the dual controller allows you to display two computers on one LG 43UD79-B screen and control them with one set of keyboard and mouse. Due to its gaming features, AMD FreeSync technology, and quick response time, the LG 43UD79-B is an excellent choice as a gaming monitor. The 5ms response time speed takes care of ghosting of the fast moving objects in video games, although not quite as effectively as the TN panel monitors that have up to 1ms speed. Unless you’re a professional player, you won’t be bothered by the 5ms speed. Additionally, the Dynamic Action Sync feature reduces the input lag for the highly responsive gameplay experience. Other features include the Picture in Picture and Picture by Picture modes, a remote control, 6-axis color adjustment in the user-friendly OSD menu, and pre-calibrated picture presets. One of these presets is the Reader mode with a blue light filter which eliminates the harmful blue lights and in addition to the flicker-free screen allows users to watch the screen for hours without straining their eyes. In short, the AMD FreeSync technology allows you to synchronize your compatible AMD graphics card‘s frame rate with the refresh rate of the LG 43UD79-B 4K display. This results in a more steady FPS (Frames Per Second) rate and eliminated screen tearing, stuttering, and input lag. However, the stated dynamic range of the adaptive-sync is apparently 56-61Hz which is quite disappointing if proven to be true once the monitor is released. Once the frame rate drops below the dynamic range, FreeSync stops doing its magic. As expected from the new LG monitors, the design features a slim profile with narrow bezels that provide a cinematic viewing experience. The LG 43UD79-B monitor also offers VESA mount compatibility with 200 x 200 mm pattern, however, it is tilt-only by -5, 10 degrees. The screen is coated with an anti-glare finish which eliminates the sunlight reflection. 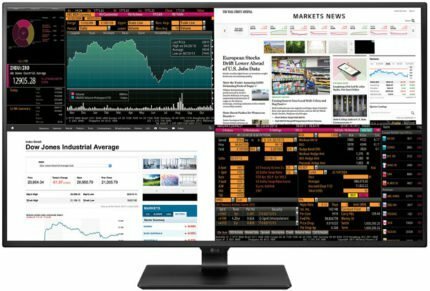 If you’re not impressed by the monitor so far, the extensive connectivity options may change your mind. The connector ports include two HDMI 2.0, two HDMI 1.4, a DisplayPort 1.2a, and an USB 3.1 type C (that can also carry DisplayPort signal). Both HDMI 2.0 and DisplayPort 1.2a ports can support the 4K resolution at 60Hz while the USB-C port allows you to simultaneously stream audio/video content, transfer data, and charge the device. Other ports include the headphones jack, the RS-232C port, and two USB 3.1 ports with a KVM switch for control over multiple computers connected to the screen using just one set of keyboard and mouse devices and the Dual Controller feature. In addition, the LG 43UD79-B FreeSync monitor offers two 10W Harmon / Kardon speakers for the total multimedia experience. Furthermore, using the Picture in Picture and Picture by Picture modes you can display up to two or four signals respectively. Once you split the screen four way, you will basically have four 21.5-inch displays with 1080p resolution. The monitor also comes with a remote control for an even easier command over the monitor. The LG 43UD79-B release date is on 19 May in Japan. At the moment, you can pre-order it for $700 in the US. If the LG 43UD79-B price stays this way after it’s released and starts shipping, it will be quite an appealing price, to say the least. The LG 43UD79-B 4K display offers just the right screen size for its resolution if you’re looking for a colossal monitor for an awesome multimedia experience. 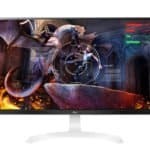 Moreover, the monitor can be used for gaming, photo editing, multi-tasking, and cinematic movie-watching activities with an assurance that the image quality and performance will stay top-notch. The extensive connectivity and the features intended for the easier command over multiple connected devices make the monitor’s size as useful as it is big while the design is simply astonishing with its thin bezels. Lastly, the gaming-oriented features including AMD FreeSync make it a great choice for a gaming monitor. 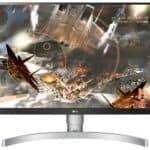 If the price stays as it is now for pre-ordering, the LG 43UD79-B IPS monitor will be a simply amazing deal. 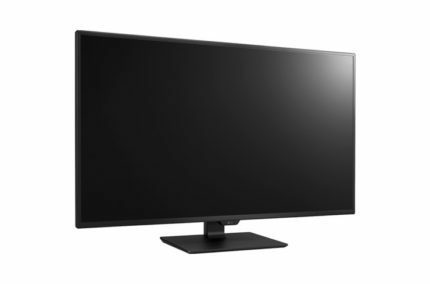 The LG 43UD79-B offers extensive connectivity, a beauteous slim bezel design, and plenty of exclusive features for gaming, multi-tasking, professional, and everyday purposes. Moreover, it’s gigantic 43-inch screen features 4K resolution and offers a huge display with a crisp resolution and rich colors due to its IPS panel. Been waiting for this for a long long time!